Director Makoto Shinkai's tells IndieWire how anime and rock music propelled his Oscar-contending romantic fantasy. 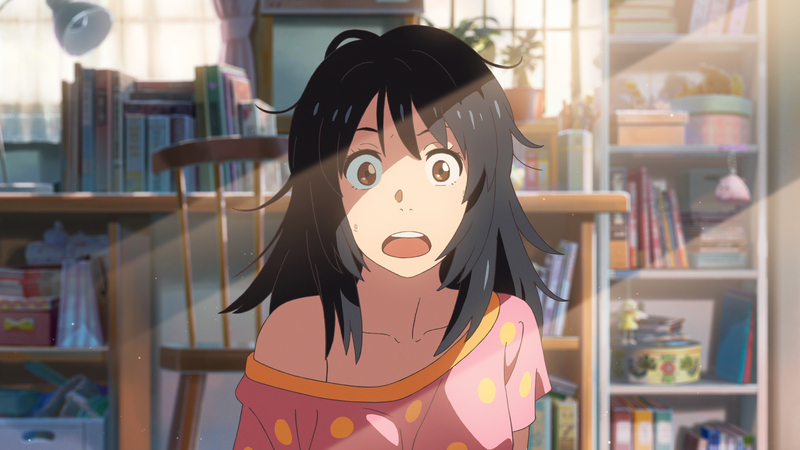 With its surprising Los Angeles Film Critics Association win for best animated feature, the delightful, body-switching, “Your Name.,” from director Makoto Shinkai, has been elevated to Oscar contention as a result of its unique anime style and off-beat, fantasy romance. Of course, it helps that Shinkai’s breakout hit is not only the year’s biggest box office success in Japan ($288 million), but also the second highest-grossing anime in history. And it’s easy to see why: it taps into YA fantasies about vicarious excitement, romance and upward mobility. The director wants young adults to ponder why people meet and think about what it means for them. Two high school students meet in their dreams: Mitsuha, who’s frustrated living in a seaside village, switches bodies with Taki, who lives in Tokyo. They instantly make contact and interact: Mitsuha helps Taki get a date with a girl he has a crush on and Taki helps Mitsuha come out of her shell. And then complications arise when a comet threatens to destroy Mitsuha’s village. Shinkai, who previously had success in video games and commercials, first wrote “Your Name.” as a novel before adapting his animated feature. His two inspirations were an ancient Japanese poem by Ono no Komachi about meeting someone in your dreams and a commercial he made about a boy and girl applying to the same college from different parts of Japan. “I was well aware of body-switching movies, but I wanted to find a unique way of expressing it through visuals and music,” Shinkai told IndieWire through an interpreter. 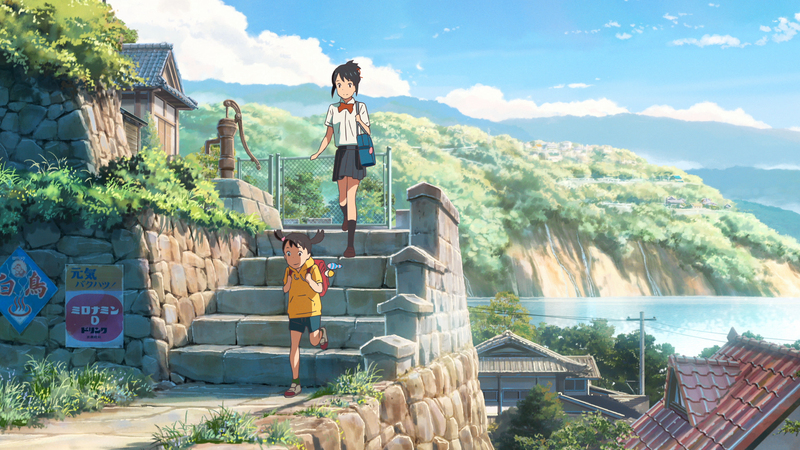 The 2D “Your Name.” was animated at CoMix Wave Films and distributed by Toho. 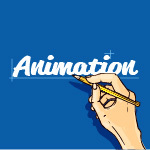 The characters were designed by anime artist Masayoshi Tanaka and then turned over to animation director Masashi Andô, the former Studio Ghibli veteran. “So we had this interesting chemical reaction where we’re looking at characters that were designed in a style that was traditionally anime and a mainstream animation that was applied to it that created a very unique look,” Shinkai said. The backgrounds, meanwhile, were a combination of 2D and CG, providing more dynamic interaction and depth of field. “But regardless of the background, I was very cautious of where the camera was at any given moment,” the director added. However, the participation of the popular Japanese rock band, Radwimps, which provided the score and four songs, served as the greatest inspiration to Shinkai. “I know it’s not very traditional to have rock, but I would have the band members read my screenplay and start composing the music, and I would listen while continuing to write and actually made adjustments based on the music,” Shinkai said. For example, for the montage of their daily lives of switching, the director merely intended for them to communicate via smartphone. However, after listening to the uptempo “Zen Zen Zense” (the #1 hit single), Shinkai had the characters also write on their hands and faces. “And if wasn’t for the need to match the visuals with this very uptempo beat, I don’t think that scene would’ve turned out the way it did,” Shinkai said. But without the convincing romance between Mitsuha and Taki, “Your Name.” never would’ve resonated so deeply with its teenage audience. “The fantasy is a starting line for them to meet as normal people and begs the question: Why do people meet? I want to prompt people to think about that in terms of those around them, whether it’s romantically or not,” added Shinkai.